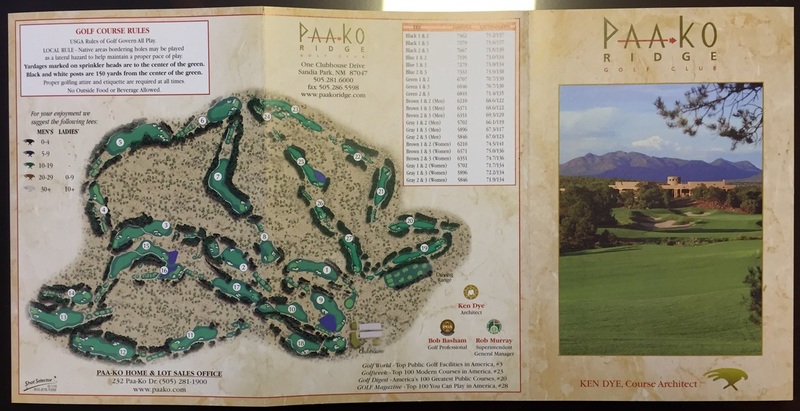 Paa-Ko Ridge has been ranked a top course in the state of New Mexico and recognized by Golf Digest and Golf Magazine since it opened in 2000. It's not fair to say I didn't expect much playing golf in New Mexico but the truth is I didn't, and what a wrong assessment that was. 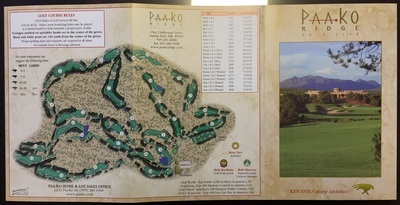 Paa-Ko Ridge has it all. Amazing views, a great layout, wildlife including big deer and bear, and greens that roll fast and true. The course is also very challenging in ways most golfers will never experience. There are 1,500 foot elevation changes on some holes and the course is about 7,000 feet above sea level. To say the ball flies is an understatement. For those who live in areas that are right at sea level, club selection can be really hard to judge. None the less don't miss out on this one next time your in the southwest!